Exclusive 12, 8, 5 or 3 Easy Payments ⚡ Bose F1 Model 812 Flexible Array Powered Loudspeaker only at AMS! Free 2 Day Shipping⚡ Free Extended Warranty ⚡ Call our Gear Experts at 800-319-9043 for expert advice! Innovative is arguably the best word to describe Bose Corporation as a company. Since the 1960s, they have single-handedly changed the world of pro audio and have consistently been on the forefront of major advances in sonic achievement. 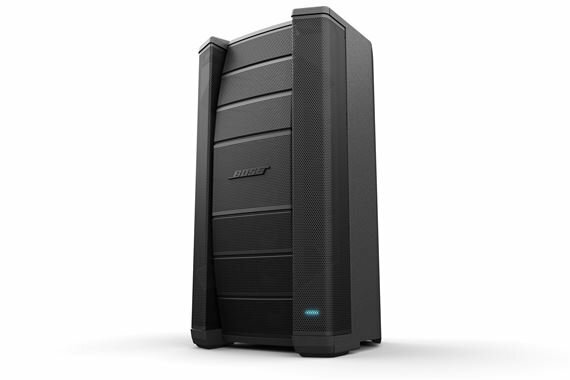 So when Bose released the F1 Model 812 Flexible Array Powered Loudspeaker, it's no surprise that its performance has been nothing short of amazing. The F1 Model 812 is compact enough to fit in your car, but powerful enough to command the stage. Shouldn’t your live sound gear make your life easier? That’s exactly why this new Bose loudspeaker is so exciting. 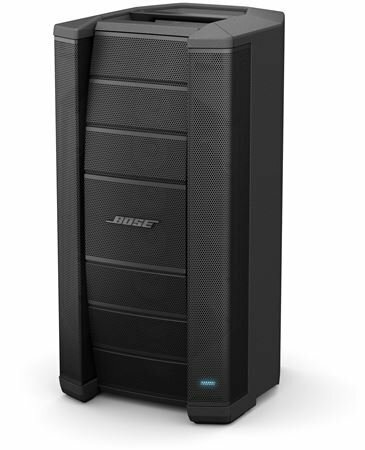 Designed to adapt its EQ parameters to the surrounding room, the Bose F1 Model 812 Flexible Array Powered Loudspeaker turns heads in awe with its huge sound. 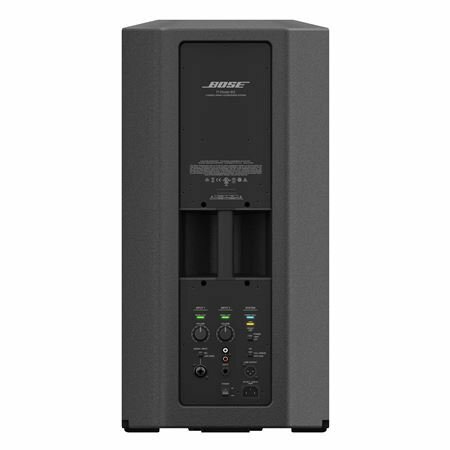 Because of its portable size, the Bose F1 becomes ideal solution for on-the-go performers and venues that are short on space but need unparalleled audio quality. 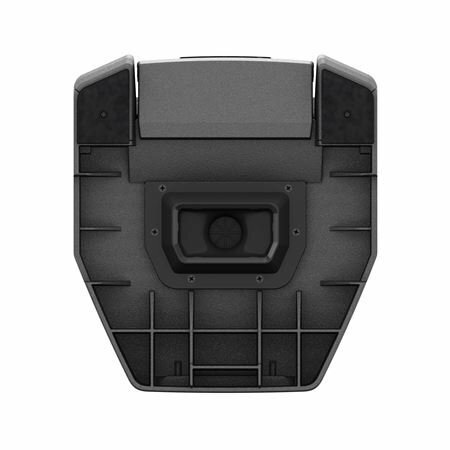 The key to the incredible performance of the Bose F1 Model 812 Array lies in its flexible baffle and shapeable coverage pattern. When the array is moved into position, it automatically alters the equalization to properly balance each coverage pattern. This means that wherever the loudspeaker is placed, it adapts so the PA can compliment the room. It doesn’t matter if the loudspeaker is placed on the floor, stage, or positioned above the stage - it conforms on its own! The array can be positioned to create different coverage patterns; i.e. ‘Straight’ (focuses the sound directly forward towards the audience), ‘C’ (full spectrum sound wave projection up and down towards audience), ‘J’ (directs sound downward), or ‘Reverse J’ (focuses the sound upwards). Therefore, no matter what room you’re playing in, the Bose F1 Loudspeaker has you covered in all directions. It even projects the sound horizontally for maximum coverage in all array settings. In every corner of the room, you’ll hear the full spectrum of sound as its meant to be heard; loud and clear! 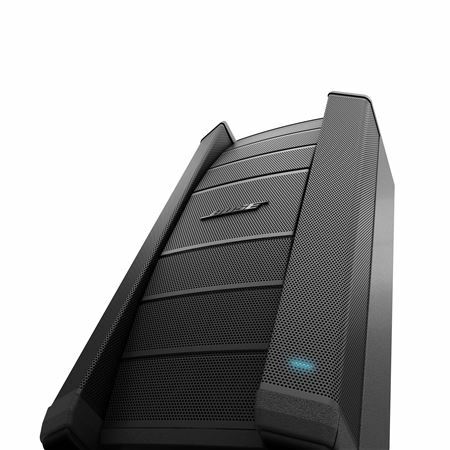 The Bose F1 Model 812 Flexible Array Powered Loudspeaker is comprised of a powerful 12-inch woofer, eight mid/high output drivers, a low crossover point, and a 1000 watt amplifier. 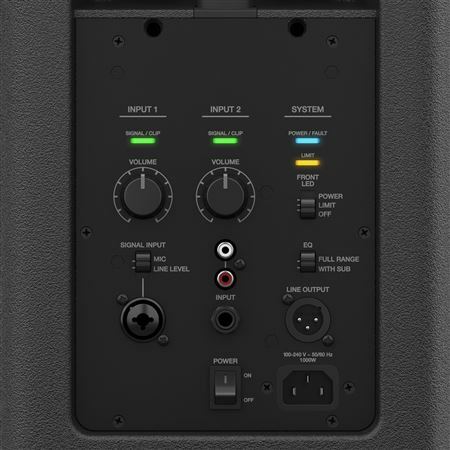 The unit has a frequency response of -3dB, and a frequency range of -10dB. At just over 44 lbs., the Bose F1 is light enough to be maneuvered by anyone. High SPL performance is delivered by the system, which keeps the integrity of high and midrange frequencies, ensuring pristine clarity. Vocals remain crisp and articulate, while your guitar cuts through the mix with precision. Bass heavy instruments are warm and deep, with a great punchy sound. Complementing the Bose F1 Model 812 will the additional F1 subwoofer (sold separately) will take your bass response to its maximum potential! 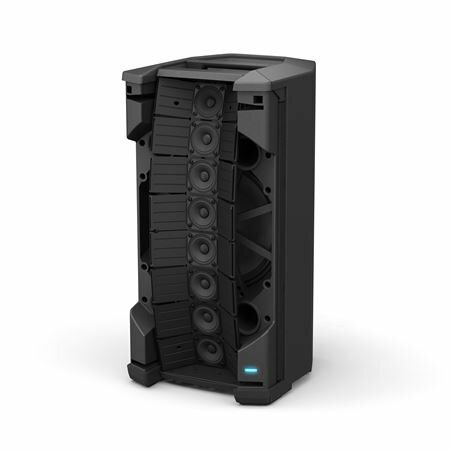 If you are looking for the most adaptable and economical loudspeaker on the market, with incredible sound and great dollar for dollar value, the Bose F1 Model 812 Flexible Array Loudspeaker is for you - the choice of the pros! I love the sound of this new PA! The Bose F1 provides all I needed in a PA speaker and more. The clarity is off the charts. The ability to change the direction of the music, based on the venue has been invaluable. I own several Bose products, but this is the best yet. I use this speaker for acoustic gigs, guitar, tracks and mic.. it’s great. I used to gig with an electronic band (mic, track) and it’s really good sounding powered speaker, if not the best, one of the best in his kind..
the purist sound I've ever heard from a mobile speaker..period! presently I own Yorkville,EV and QSC..they all are good but this Bose 812 is better than good..do me a favor, don't take my word for it..check them out yourself. Do you except something else? This speaker rocks! I’ve tested a lot of studio quality speakers and this one is the best,hands down. 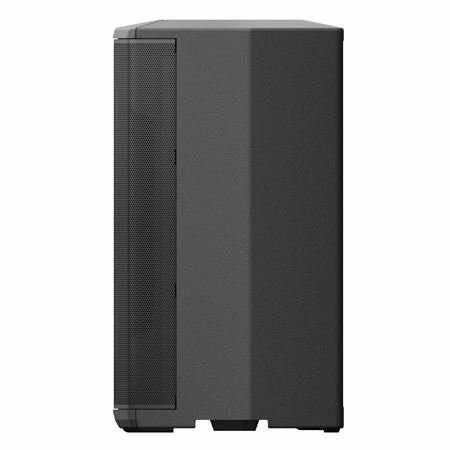 Want big PA performance in a small size and for less money? Then this is your new PA system. Great for any application be it speaking presentations, small gigs, large, or even practice. You get the same sound at any volume and extremely easy to use. What I am most impressed with is how it sounds the same whether you are standing 10 feet in front of it or 200 feet. Crisp, clear, clean and precise. You can’t ask for a better PA system for the money and with the Bose name on it, you know you are getting the quality you want. Do your self a favor and buy one today! The best Speakers ever hands down. Bing Bang!!!. 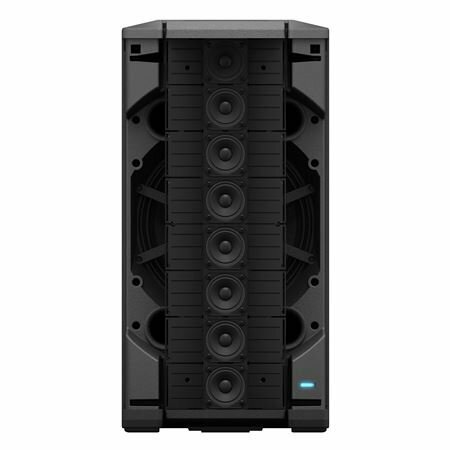 Other speakers like JBL are jokes when you listen to this F1 flex array speaker. If you don’t like it just return for your buck is just that simple. This is the real deal end off! Acoustic, power punch and absolutely crispy to the ears. Your eyes and hears should be the judge when you purchase Bose. DJ’s please invest and you won’t regret it.